All of our services are backed by a world class online Control Centre and operate on Australia’s largest mobile network (Check our coverage), offering your devices the greatest reliability, coverage and speed available. Mobile data plans designed for M2M and IoT Devices, that are tailored to your needs. Our flexible group data plans put you in control with smart automation and notifications. Static IP, VPN & Managed IPWAN services available through M2M One IPX. Do more with your M2M SIM Cards with our control centre. Connection diagnostics, real time status reports, notifications and alerts available. Getting started in M2M? Try one of our developer kits. 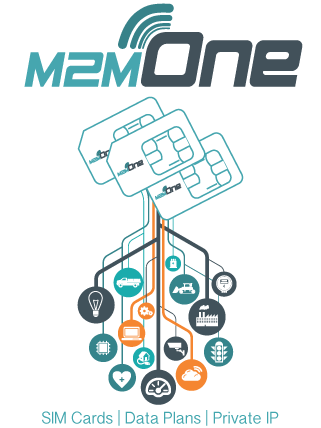 Why work with M2M One? Are you stuck in a contract you didn’t even know you signed? Do you find yourself dreading the end of every month due to excess usage and slow reporting? Is waiting hours or even days just to get a SIM card activated slowing down your business? Do you feel like your account manager doesn’t care about your business? Are you an overseas company who can’t get a connection because you need an Australian trading entity? These are just a handful of the complaints that we heard from customers before they found M2M One and found a new way to connect! Our goal is to make developing and getting a product to market as easy as possible. We don’t lock our customers in to long term contracts or require a minimum spend to get started. No complicated paperwork or processes every-time you need a SIM, sign up with our simple online sign up and start connecting today. Deploying an M2M/IoT solution worldwide? Try our M2M One Global SIM. Like what you see? Click the button below to start connecting with M2M One.